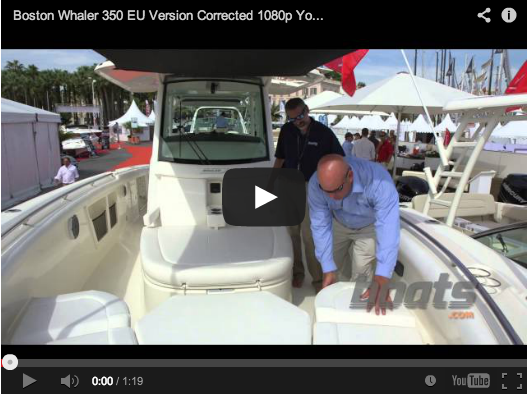 The new Boston Whaler 330 Outrage is a muscular fishing boat with a softer side. 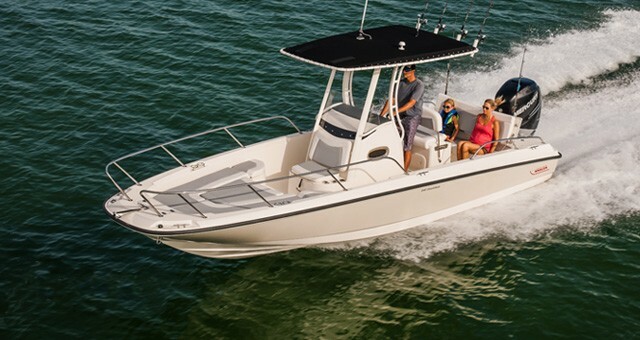 When we ran the 2012 Boston Whaler 320 Outrage we found a rugged boat that was geared for serious offshore fishing—just like the rest of the Outrage line. Four years later, why would Whaler give this model a makeover? Why mess with a good thing? Because in this day and age, boaters expect better. Sure, a boat can have a great design. It can be built as tough as they come, and perform like a champ. But if there’s a better boat out there, thanks to light-speed communications and modern digital resources—yes, I am talking about boats.com—you boaters will find it. 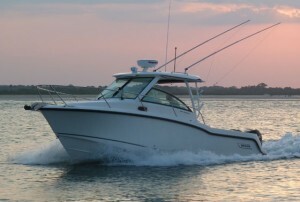 And when it comes to boats like the 320 Outrage, that better boat is the 330 Outrage. Join us for an in-depth look at the boat on video, and find out why. 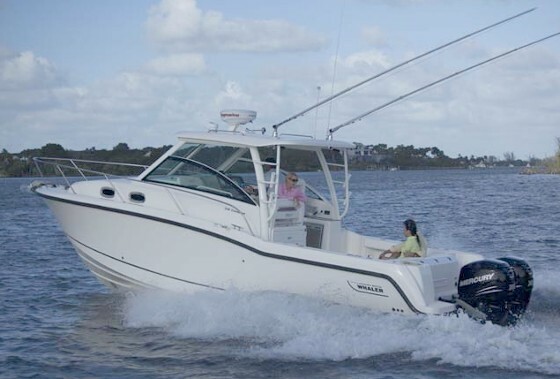 The 2016 330 Outrage replaces the 320 Outrage., and while basic design and construction remain the same, there are some significant differences between these models. How is the 330 different from the 320? Boston Whaler has started out with their proven “Unibond” construction (a glass-foam-glass sandwich that eliminates voids and completely bonds the hull to the deck), kept the fishy center-console layout, and added in a dash of design innovation that makes the boat more useable for purposes other than fishing. One great example lies in the bow. Many center consoles, including the 320 Outrage, have forward U-shaped or V-shaped seating up there. Many also have a forward console seat. This arrangement cuts back a hair on fishability, since the forward seating pushes you away from the forward gunwales. On the flip side, it obviously adds quite a bit of seating capacity. On the 330, Whaler made the bow seating more of a C-shape. There’s still room for three people to sit on the forward seat, but anglers can stand right up against the gunwales and use a lot more of the bow’s deck space for fishing. Meanwhile, the forward console seat has been extended and turned into a full-blown lounge. The new bow design in the 330 Outrage is a classic example of having your cake, and eating it too. Both seating and fishability have been improved. The net result is the same seating capacity—except that those kicked back on the console lounge will find it a good deal more comfortable—with additional fishing space. Added bonus: you get a huge stowage area under the lounge, which is fitted with rodracks. 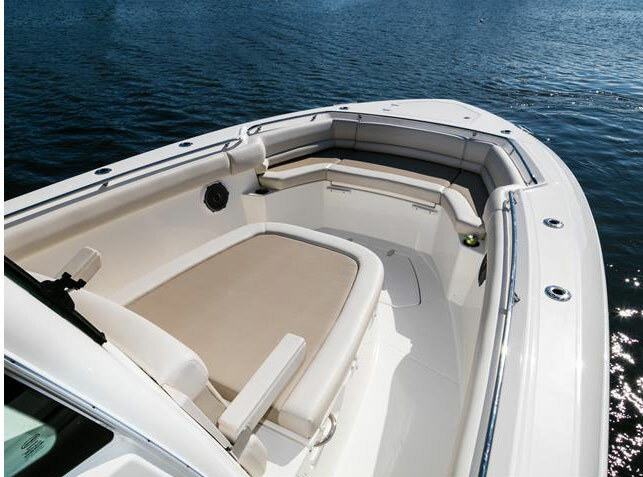 A cut-through into the console head compartment lets rod tips protrude through, and you’ll be able to fit over a dozen rods of virtually any length down there. Another improvement can be found just behind the helm. Several different leaning post arrangements are available, one of which incorporates a new aft-facing seat design with a fold-down backrest that transforms into a table. As a die-hard angler, I’d probably opt to have the optional 40-gallon livewell here instead, to complement the standard 50 gallon well in the transom. Or, maybe I’d go for the version that houses tackle drawers, a cutting board, sink, and Yeti cooler. 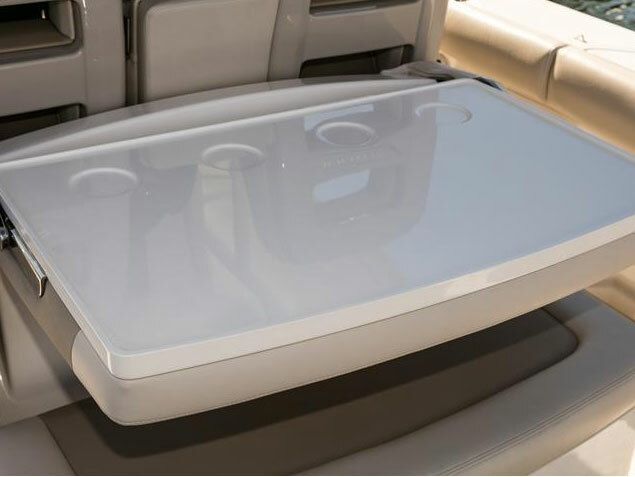 But if you use your boat for entertaining as well as fishing, you’ll probably appreciate having a table that, for once, doesn’t wobble around on one of those lousy pedestal mounts. You’ll also like the fact that you don’t have to hunt for a place to stow the table and pedestal, because when you want to go back into fishing-mode you simply swing the table up and back into the seat-and-backrest position. And if you really don’t care much for fishing in the first place you might even want to swap out the whole affair for the summer kitchen option, with an electric grill, inverter, and cooler. 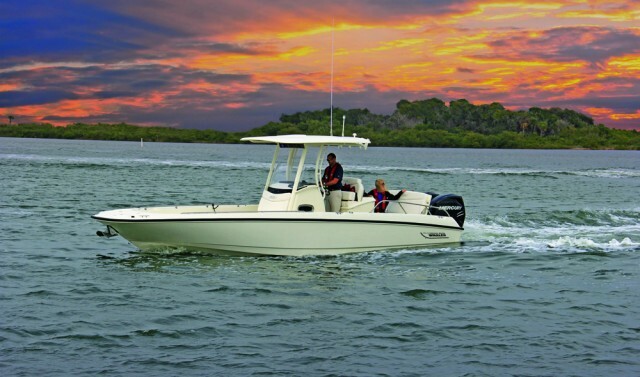 Boston Whaler is great at designing in folding, flipping, converting features. This aft leaning post seat/table is the latest. We all know, however, that all things on boats have a down-side. And even if these design changes are ideal for your uses, you’ll still have to face the fact that with improvement often comes a price increase. The 320 Outrage was already a relatively expensive boat (you can find listings for used 320 Outrage models from 2004 through 2014 which range from $85,000 to $239,000,) and yes, the 2016 Outrage does cost more. You’ll have to plan on spending over $300,000 to get into this boat and depending on how you get it rigged and optioned, could boost that number by 25-percent. The flip side to this equation is that, as you can tell from looking at the used boat price range above, Boston Whalers as a rule tend to retain value better than the average boat on the used market. So while it may be a big financial bite initially, in the long run you’ll recoup more of your investment than you otherwise might. One of the things that will affect just where those initial price numbers fall will be the choice you make regarding powerplants. 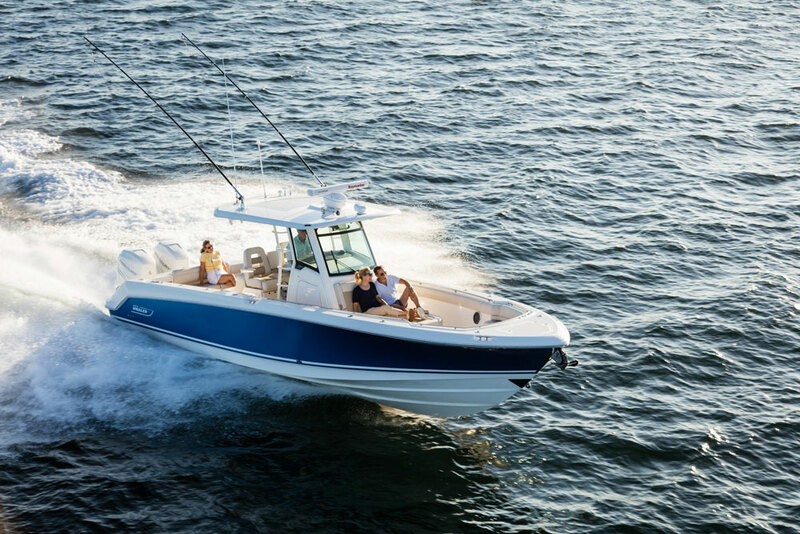 The 330 is available with twin outboards ranging from twin 250 to twin 350 Mercury Verados. Get the 350’s. 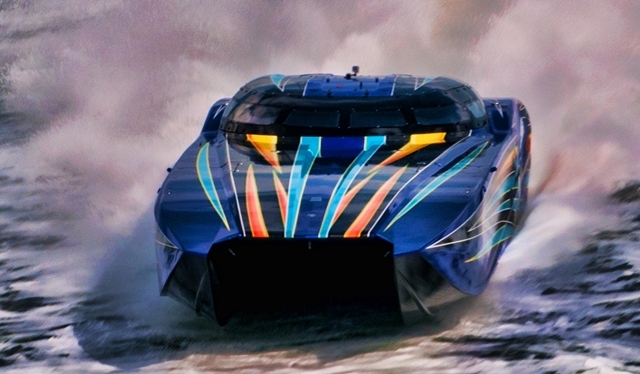 They’ll net you a spiffy cruise in the upper 30’s, and an eye-watering 53.2 MPH top-end. Who wouldn't love performance like that? The bottom line: yes, you do have to pay to play, but with the 330 Outrage, Boston Whaler has quite simply built a better boat. Take one for a sea trial or poke through a 330 at a boat show, and we’re sure you’ll agree. Other Choices: The Scout 320 LXF and Jupiter 32 are center consoles that run in similar waters. Those who are less interested in fishing and more interested in an entertainment/luxury platform (and who are willing to push the price envelope even further) might be interested in the Chris Craft Catalina 34. 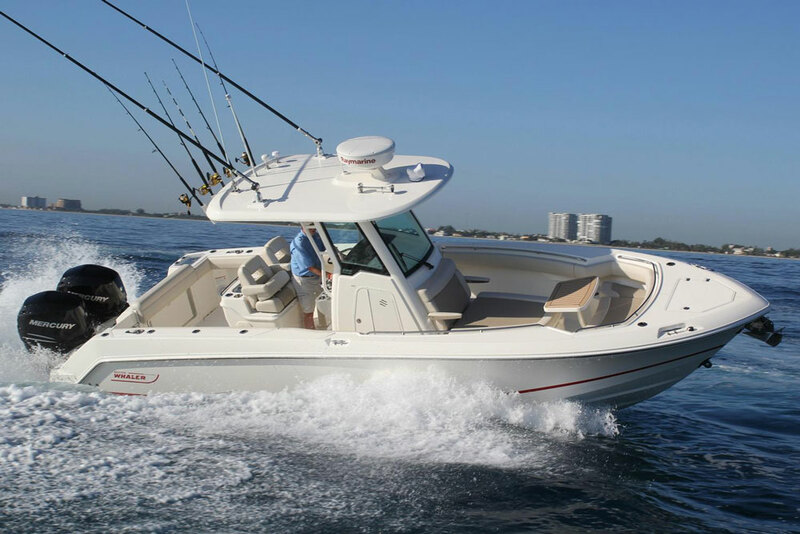 For more information visit Boston Whaler. See some current 330 Outrage listings. Test conditions: 82 degrees, 2 POB. Performance data courtesy of Boston Whaler. Power Twin 350 Mercury Verado outboards, swinging 16" X 17" three-bladed stainless-steel props. Editor's Note: This article was originally published in November 2015 and updated May 2017.